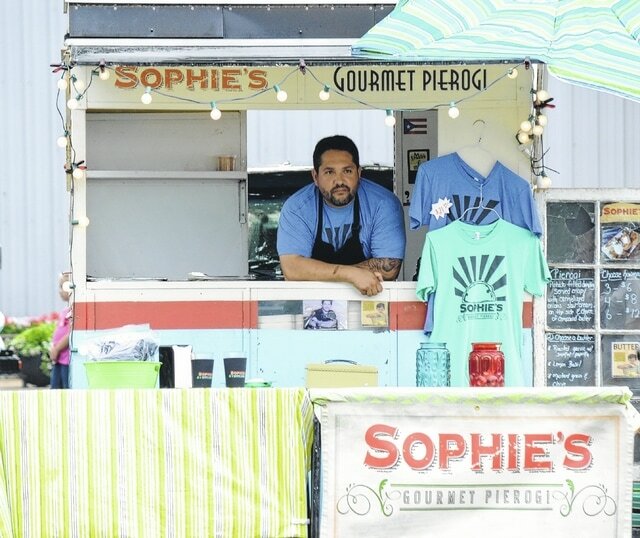 Photos by Justin Miller | Urbana Daily Citizen Above, the inaugural Rhythm and Foods Festival featured plenty of socializing, vendors and music on its opening night, including Crossroad Station, pictured above. The festival continues Saturday at the Champaign County Fairgrounds, with gates opening at 10 a.m. Above, the inaugural Rhythm and Foods Festival featured plenty of socializing, vendors and music on its opening night, including Crossroad Station, pictured above. The festival continues Saturday at the Champaign County Fairgrounds, with gates opening at 10 a.m.